A crowd of over a thousand. Flashing background lights. High energy dancing. Bhangra in the Burgh. Bhangra in the Burgh, or BIB for short, is a bhangra (a traditional South Asian dance style for males) competition and exhibition held at Carnegie Mellon University, where most of the top bhangra teams come together to compete and Pittsburgh teams can showcase different styles in between. This year, there were all male, co-ed, and even all female competing dance teams. For the exhibition portion, there was a co-ed hip-hop dance team, a raas (a traditional South Asian dance style that utilizes decorative sticks) group, and several other styles. Penn Masti was performing as part of the exhibition and was the only travelling team invited to partake in that portion of the show, which was a very exciting experience for us. As a freshman entering college, I wanted to test my limits and challenge myself with an experience I’ve never had before. Honestly, I didn’t think that would mean joining a South Asian fusion dance troupe. However, Penn Masti has been an incredible experience that has really defined my freshman year so far. Between jokes during practice, grabbing dinner afterwards, and general hanging out, Masti has really felt like a kind, fun, and slightly weird family to me. And my experience with them at Bhangra in the Burgh cemented that feeling. 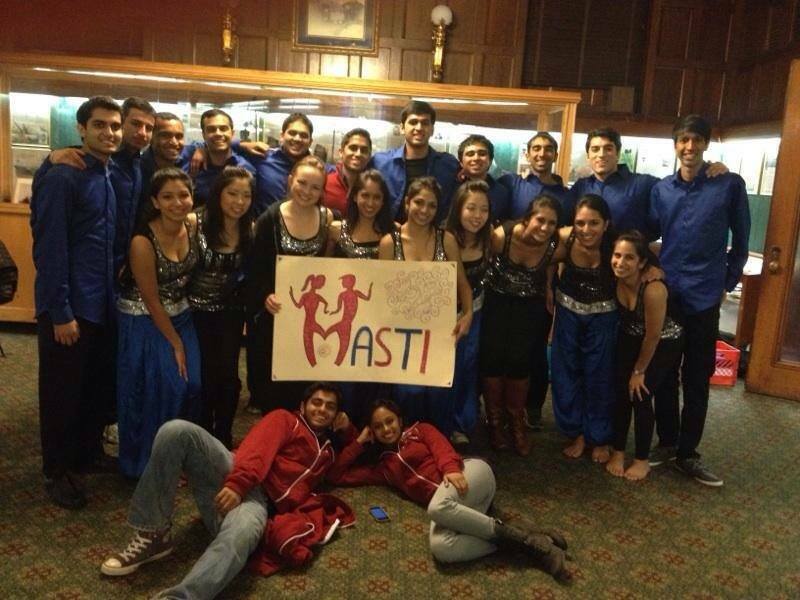 Even though it was a Saturday performance, Masti stayed in Pittsburgh for the entire weekend, since it was so far away. We left Friday afternoon, arrived at our hotel and watched a movie together before sleeping. Saturday morning, we practiced in a classroom in a CMU building and then went to the performance theater for our 20-minute stage rehearsal before hair, makeup, and general primping for the show. When we were not performing, we sat on the upper tier of the auditorium and watched the other groups compete and perform. 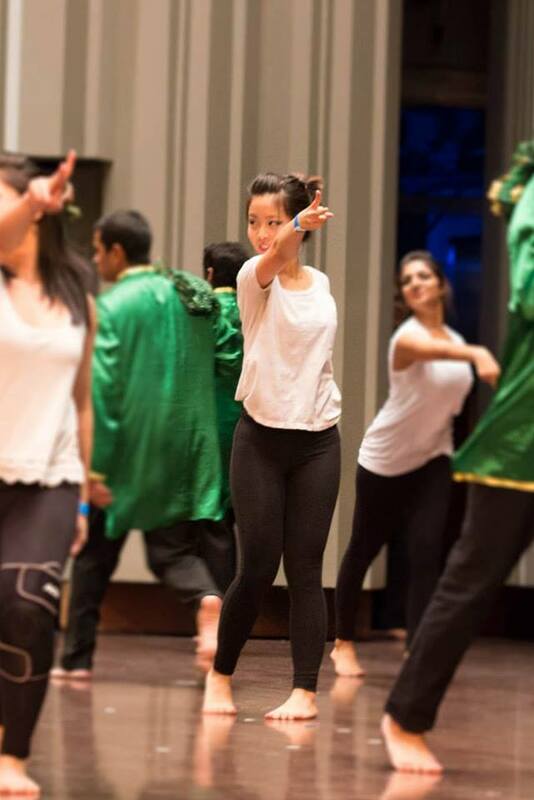 The bhangra teams were, all in all, phenomenal; though I don’t know much about the nuances of the style, I could tell their formations were crisp, transitions extremely smooth, and choreography in sync. With traditional Indian music fused with more modern elements blasting in the background and members garbed in solid colored traditional Indian clothing spanning the entire rainbow, each competing team danced for eight minutes straight – eight minutes of continuous jumping, hopping, and high-energy dance moves. When our turn to perform arrived, it was kind of nerve-wracking performing in front of so many people (it was Masti’s biggest audience ever! ), but the crowd was really excited and we were really excited and all in all, BIB was an amazing experience. Michelle is a current M&T student in the Class of 2017 from Severna Park, Maryland. She studies Computer Science within Penn Engineering and has yet to declare her concentration in the Wharton School.